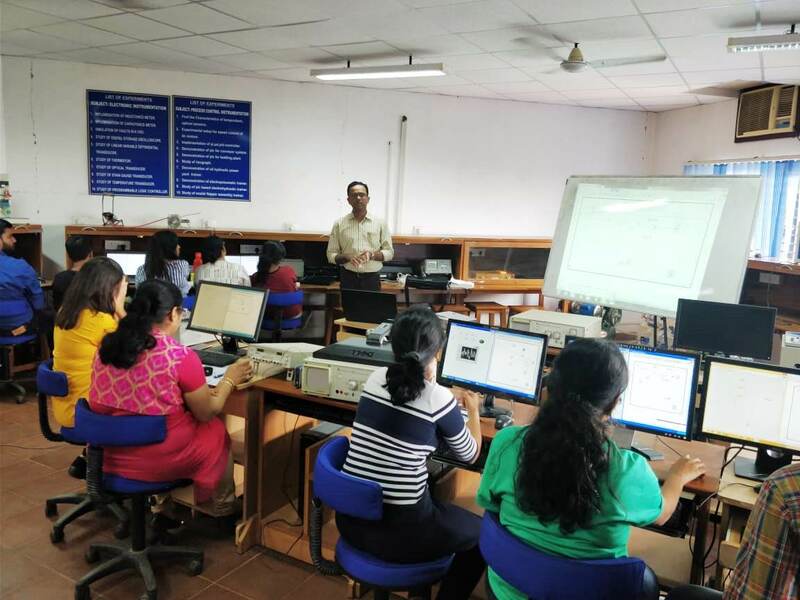 The Electronics & Telecommunications Department of Goa Engineering College (DBCE) organized a one day workshop on �Graphical Programming with Lab view� in association with IETE Goa Chapter on February 2, 2019 for ME students of Automation and RF course on occasion of Student�s Day. In all, there were 17 participants who included students and faculty members. The workshop was coordinated by Prof. Devendra Sutar and Prof. Amita Desai. Prof. Ajit Salunke, HOD - Mechanical Engineering Department of DBCE was the resource person. He covered basics of Virtual Instrumentation, while loops, case structures, shift registers, sub VI and data acquisition. The participants found the workshop to be informative.